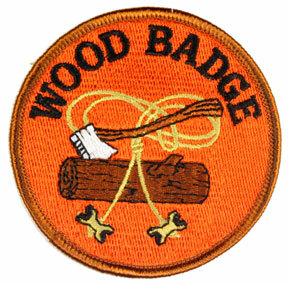 Is Wood Badge Training For You? Earlier this month, I served on staff for another Wood Badge course… this time as Senior Patrol Leader. What a great time it was to be surrounded again by incredible people wanting to do their best in a program that changes lives (and I thought being a Troop Guide was fun!). As an adult, this whole Wood Badge experience has given me many opportunities to expand my comfort zone and grow in a safe environment – much like what the scouting program is supposed to do for our boys. So it’s not hard for me to want to do this again (as a Scribe) and again (Troop Guide/Bears) and again (Troop Guide/Beavers) and again (now as SPL). Is that what your scouting program is doing for your boys? …making them want to come and join in again and again and again? If not, why not? Is there something you should be doing differently? Or better? Or not at all? Could your own personal life benefit from some leadership hints and tips? Maybe sharpen a few skills or discover some you didn’t even know you had? What if you let yourself find what more there is to know and learn by attending Wood Badge? So let me ask the question again… is Wood Badge training for you? This entry was posted in Training and tagged adult training, bsa, leadership training, leading by example, professional development, wood badge. Bookmark the permalink. "I thought scouting was simply a program for teaching boys to camp, hike and enjoy the outdoors. 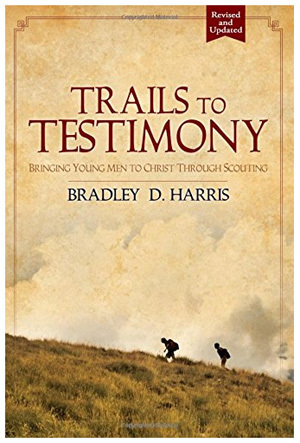 After reading Trails to Testimony, I began to see scouting as a tool to do much more!"